Ask an Expert: I want my daughter to be trilingual but I need my husband’s help. Today we welcome a new and amazing expert to our already great Ask an Expert panel. We count ourselves lucky to be able to wrangle Dr. Naomi Steiner, most well known as the author of the very useful book 7 Steps to Raising a Bilingual Child. To find out more about Naomi Steiner and to send her, or any of our experts, your questions please click here. Today´s question was sent from England by Monica. I’m an Italian mum of a three-year-old girl. My husband is Portuguese and we live in England. At the moment Italian is the dominant language as she spends most of the time with me, but she knows fews words in English as well. I really would like to raise my child trilingual, as we have the right condition to do so. However, my husband tends to speak to her in Italian making lots of grammatical mistakes. I do think that he should be consistent with the Portuguese even if it is not easy for him as he speaks Italian or I would say “his own Italian” to me as well. I would really appreciate if you could give an advice on which would be the right thing to do. Thanks in advance… your website is great!!!! What a wonderful dilemma to have! This said, your points and questions are very well made. You would like to raise your daughter trilingual and your language environment would lend perfectly to this. As you noted, you could continue to speak Italian and your husband could start to talk Portuguese to your daughter. She would learn English through her environment. The big family change would be for your husband to shift to another language, i.e. Portuguese. In general, I do not encourage a parent to speak a language that they do not master and thus passing on a poorer vocabulary and grammar. For monolingual families circumstances are different, – and that is another subject and approach. Keep in mind that switching from one language to another does not always feel instinctive for a parent, who might have reservations at many different levels. A gradual change could be helpful. For instance, starting in the bath tub, and moving onto meals, until your husband speaks only Portuguese to your daughter and you Italian. This is the One Person One Language (OPOL) technique and it is the most successful, I believe, because it is the most consistent and easiest to follow for parents and children. Also, I would encourage you to speak with your husband about how he feels regarding the family language dynamics. You both want to be on board. I would encourage you both to establish what I call a “bilingual action plan,”- in your case a trilingual action plan, where you write down who is going to speak which language, when, and which activities. Raising children bilingual and trilingual is very exciting but also requires on-going communication and planning. 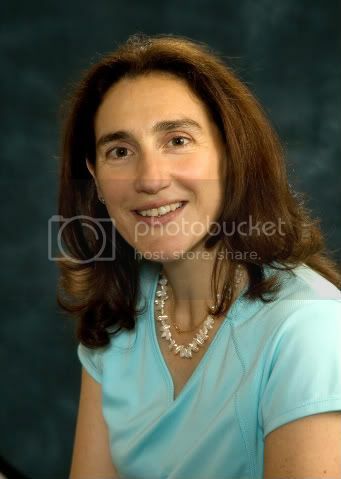 Naomi Steiner, M.D. is a developmental-behavioral pediatrician and clinical researcher at the Floating Hospital for Children at Tufts where she is also an assistant professor in pediatrics. She is interested in how children develop awareness to cope with their emotions, behavior and learning. Dr. Steiner has a longstanding interest in bilingualism and multiculturalism, which is a topic that she enjoys teaching and discussing. After more than a decade of working closely with families around these issues she has written a book, with Susan Hayes, called 7 Steps to Raising a Bilingual Child. She is multilingual and is raising multilingual children. Ask an Expert: How Can I Teach My Kids to Read in Spanish? As Dr. Steiner points out, you have a wonderful challenge, and one that I feel she addresses really well in her reply. I have found that writing down an action plan, posting it and reviewing it weekly as a family is very effective in reaching your goals. Once it’s down on paper, there is a level of accountability for all involved. .-= Beth Butler´s last blog ..Bilingual Games for Children from Boca Beth =-. - Go to Portugal on holiday for at least two weeks, to family or friends who speak Portugese but not Italian, get your husband back in the habit of speaking Portugese and then work hard that he retains that new habit when you get home. - Invite someone who speaks Portugese but not Italian to come and live with you or stay with you for a few weeks (a Grandma? aunt? niece? etc). - See if you can arrange to meet Portugese speaking friends at home, I don’t know where you live but there are some Portugese playgroups or language schools in London that he could take your daughter to – again to try to get him in the habit of speaking Portugese to her. Essentially we find that surrounding yourselves with a Portugese speaking environment somehow will help you make this transition which some people find a lot harder that you might expect for emotional reasons. Finally, I would like to suggest that if you are yourself able to understand Portugese relatively well, you see if your husband can at the same time, switch to speaking Portugese to you. You would answer back in Italian. Thus you would be having truly bilingual conversations. It may feel odd at first but it certainly can work for some people. This would help redress the balance between languages for your daughter, increasing Portugese and it is always better to speak a language that you speak very fluently to your child. It is also better because she would hear (more complex and more varied) adult to adult speech in Portugese and not just relatively simple speech directed at children. PS I am lucky as my partner has always spoken only French to our children but my efforts to get him to speak French to me have always failed as we spoke English from the first times we met and we have not been able to change this even when we are in France – even when I speak French to him and the children! You will give your child an extraordinary gift, so hang in there! My boss’ grandson is trilingual (German, English and Spanish). He did not say a word until he was 3, and did not learn to separate the languages (based on whom he was addressing) until he was 5. But now he is 9 and is working above grade level at school in every subject, and speaks all three languages perfectly as a native speaker. Imagine what will be entrusted to his care and understanding, at the highest levels, in whatever business he enters! Please find a way to convince your husband how truly special this can be for the child, with just a little effort on his part. I had another friend who had this opportunity with her husband and they did not even try– what a disservice to the children. Just try your best, stay positive and keep reaching out for support! Also, I agree with the comment above, that there could be emotional reasons why your husband speaks Italian. My Spanish is full of mistakes but since that’s what we were speaking when my husband and I first got together, it will always have that “home” feeling between us. But after some time together he wanted to learn English and wanted me to speak to him (mostly) in English. Since it was important to him I just made up my mind to do it even though it felt very strange at first. Maybe you can learn Portuguese and make some new romantic memories. I speak a little Portuguese and once when I arrived in Portugal jet-lagged after not having spoken Portuguese for a long time, I was a little upset with myself because I was only about 85% understanding a news program on tv at the hotel… that is, until I realized that the show was entirely in Italian! Maybe you can learn without too much difficulty enough Portuguese so your husband may feel comfortable he won’t mess up the level of communication quality by talking in that language. Developmental-behavioral pediatrician and clinical researcher at the Floating Hospital for Children at Tufts where she is also an assistant professor in pediatrics. She is interested in how children develop awareness to cope with their emotions, behavior and learning. Dr. Steiner has a longstanding interest in bilingualism and multiculturalism, which is a topic that she enjoys teaching and discussing. After more than a decade of working closely with families around these issues she has written a book, with Susan Hayes, called 7 Steps to Raising a Bilingual Child. She is multilingual and is raising multilingual children.